BuzzFeed is a modern media empire that moves, or at least tries to move, with the times. The company was initially famous for its easily shareable stories and listicles, but these days it is more sophisticated than that, mixing Pulitzer Prize winning authors and serious journalism with the cats, dogs, and lols on its platform. But the most interesting part of the company isn’t its diverse content, but the strategic direction behind it. BuzzFeed raised $50 million from Andreessen Horowitz in August, and since then it has started a games unit, launched a data engineering team, and made its former data chief its publisher. The company’s next step is messaging apps, and it’s teamed up with Tencent to become a media partner on the Chinese firm’s WeChat app, which counts 468 million monthly active users across the world. BuzzFeed’s move into messaging has been on the cards for some time. I noticed this summer that it was hiring for a person to manage its presence across a range of top chat apps — which the job description named as Kik, Line, Snapchat, WeChat and WhatsApp — and it has now filled that position. The staffer, who is based in its New York office, is charged with “growing and running editorial for WeChat and future messaging app partnerships”, the company says. 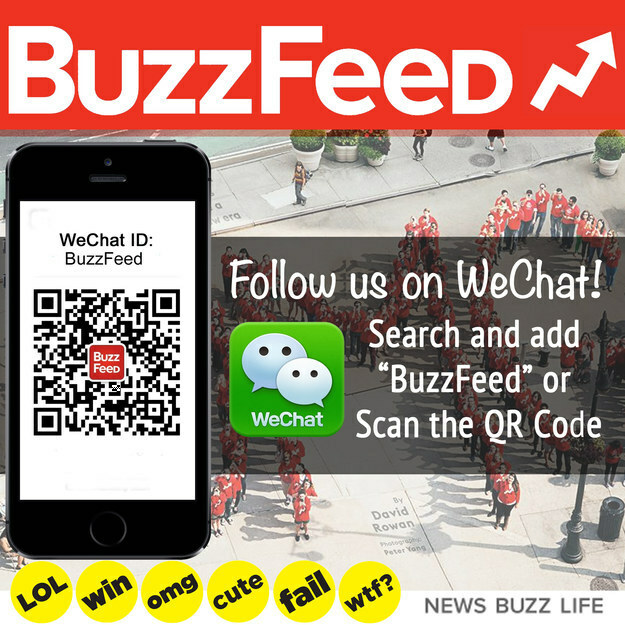 Through this partnership, BuzzFeed will now have its own official account on WeChat. Readers are encouraged to follow the account, which will send out a number of messages per day, based on the top viral content or news that is deemed interesting. WeChat is a media-centric platform built for content dissemination. Many media firms in China, where WeChat is strongest, are on the app, but BuzzFeed is the largest international name that Tencent has snagged for the service to date. So, why the jump into messaging apps? Like the gaming and data strategies, the move about predicting the future of media, so Scott Lamb, BuzzFeed’s globetrotting VP of International, told me in an interview. “As a media company, we have to be very sensitive to the changes in how people are consuming content online. There are so many people using messaging apps — our theory is that large numbers of people will use them to communicate and share media in the future. “To get involved early and figure out how users share these things is really important for the future of BuzzFeed,” Lamb added. Mobile already accounts for more than 50 percent of BuzzFeed’s traffic, while a whopping 75 percent of traffic — which just hit 175 million unique readers per month — comes from social media. That might appear to bode well for messaging apps, but at this point there really is little evidence or knowledge of whether chat apps can direct significant volumes of traffic to websites. Earlier this year, Quartz reported that BuzzFeed’s WhatsApp share button generated more clicks than its tweet button, but that was only for users on iOS devices, and Twitter continued to generate more traffic. Those are significant caveats. A BuzzFeed representative told me that so-called ‘dark social’ traffic — which means the number of users visiting the site from unknown destinations online — is increasing. The company didn’t provide a concrete figure, but that rise could be a reflection of articles being shared and clicked on via chat apps — but it could also be from other sources, such as email. Lamb didn’t get specific on when BuzzFeed will make similar moves with other messaging apps, but he did say that he hopes the company can “learn a lot” from its initial efforts with WeChat. It isn’t clear just how many users WeChat has in North America, which is BuzzFeed’s biggest market for traffic, since Tencent doesn’t break the numbers out by region. But Lamb said he believes the partnership will be an interesting asset in overseas markets, which account for 50 million unique visitors to BuzzFeed per month. Lamb specifically mentioned India, where WeChat has spend money on promotion and seen promising traction, while BuzzFeed has offered a local edition of its site in India since August. Yet, WeChat’s presence outside of China is really the critical point here for BuzzFeed. If few people in the U.S. are using the app — and Tencent recently cut its budget for promoting the service in Western markets due to sluggish uptake — then the experiment may have limited value for BuzzFeed. For Tencent, however, this deal is a major coup. The company, alongside other Asian chat apps like Line, is going great guns at home, but in the U.S. market it is coming up against the likes of Facebook Messenger, Snapchat and Kik, and struggling to offer a compelling differentiator that lures users from these other, more locally incumbent apps. As I see it, the media features in WeChat, while sophisticated and cool — you can ping BuzzFeed with keywords like ‘cats’, ‘dogs’, ‘lol’ or ‘wtf’ to get “customized” content sent to you, for example — are really a bonus for people who are already actively using the app, rather than a draw that brings new users in. It stands to reason that this is particularly true if all your friends already use iMessage, Snapchat, or Facebook to communicate daily. Dragging them to WeChat just to get updates from BuzzFeed isn’t likely to work. Especially if they can get those updates on social media or the site already. Lamb says that this is “the first of many partnerships” and, with messaging the hot topic of 2014, I’ll be keenly watching to see what lessons BuzzFeed can learn, and whether other competitors will dive in and follow, and which apps they select. For now, there are more questions than answers, but that’s exactly why BuzzFeed is steaming ahead and looking at the potential of messaging.